Cincinnati Bell complaints number & email. Get verified information about Cincinnati Bell complaints email & Phone number. If you wish to complain to Cincinnati Bell, call the complaints line on 1.888.CIN.BELL (1.888.246.2355). There are full contact details and information about the complaint procedures on the Cincinnati Bell website. 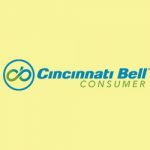 Complaints handling is available on the Cincinnati Bell website via ‘Customer Support.’ The first step is to call on the complaints line 1.888.CIN.BELL (1.888.246.2355). If your complaint is not resolved at this stage, the company’s complaints procedure is clearly set out along with further contact details such as a correspondence address and online contact form. Cincinnati Bell is the dominant telephone company for Cincinnati, Ohio, its nearby suburbs, and the Dayton metropolitan area in the U.S. states of Ohio, Indiana and Kentucky. Cincinnati Bell started out as the City and Suburban Telegraph Association and was providing telegraph lines between homes and businesses in 1873, three years before the invention of the telephone. Hopefully, We helped you to get some genuine records for Cincinnati Bell Complaint information. Use below complaint form to discuss problems you have had with Cincinnati Bell , or how they have handled your complaints. Initial complaints should be directed to Cincinnati Bell directly. You can find complaint contact details for Cincinnati Bell above.